This lightweight cream helps transform the look of aging skin by working both the skin's surface and the upper layers of the skin to repair, re-densify and re-firm the look of skin. With Hyaluronic Acid, it quickly absorbs into skin to fight the look of each wrinkle. Pro-Xylane hydrates to re-volumize and strengthen the appearance of skin. It also hydrates to firm and tighten the look of skin. Morning and night, smooth over the face, neck and jawline until thoroughly absored. 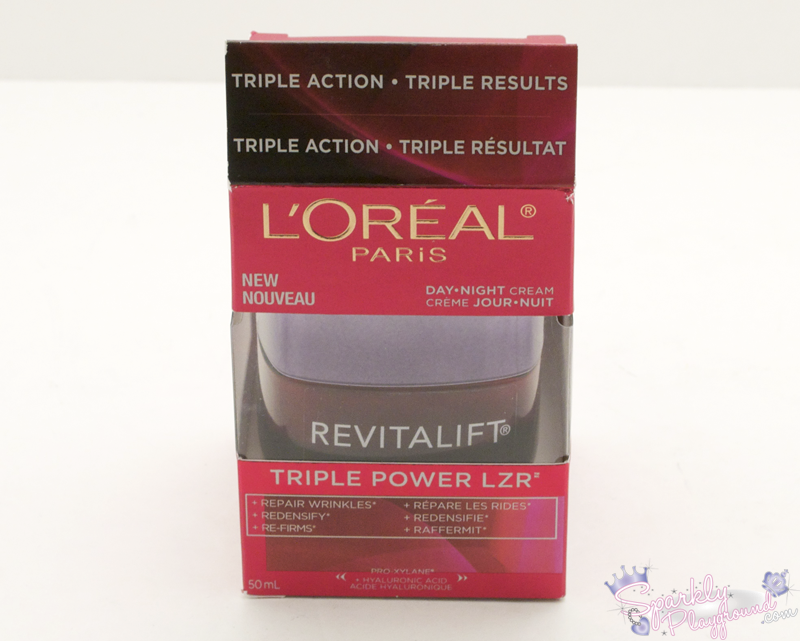 Apply after Revitalift Triple Power™ LZR Concentrated Serum for best results. Personally, I use this cream during mornings after my morning cleanse. I only use this for those days that I plan on staying home or in my office to blog (staying out of UV). Pro-Xylane - A naturally derived molecule shown to promote moisture retention and build the cohesion of layers, creating an ideal environment for skin’s natural cell metabolism. Hyaluronic Acid - Plumps skin, improving elasticity and reinforcing fullness so that fine lines are minimized and skin is instantly hydrated. I've seen it sell at Walmart, Loblaws and Shoppers Drug Mart for around $27 to $38 CAD. 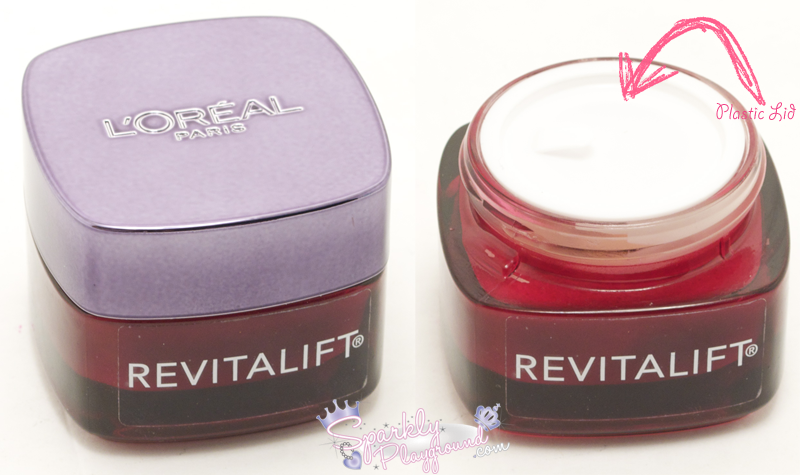 The product comes in a red glass jar which gave me a luxurious feeling like department store brands. It has a plastic lid before getting to the actual cream. I think that it smells heavenly but it may be a little strong if you're not into scented moisturizers. The texture is wonderful, I love how easy it is to blend it out. It's extremely absorbent so I end up applying a bit more than my usual amount compared to other products (I have very dry skin). However because of this, it easily creates white flaky balls/eraser dust residue on the skin. I cannot apply make up on top of this cream unless I use a stippling brush. Any rubbing or tugging motion when I apply my make up on top of the cream will create the eraser dust residue on my skin - which is extremely troublesome. In terms of moisturizing factor, I still that it's still lacking in this area. Thoughout the day, I slowly see my fine wrinkles as a sign to show dryness. I feel that it's moisturizing factor only managed to stay for 1-3 hours maximum.